New partnership will bring a money saving foreign exchange service to Chamber members. 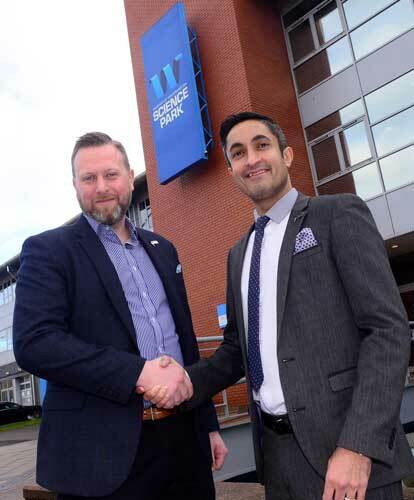 The Black Country Chamber of Commerce has partnered with exchange experts, Rational FX, to provide a money saving foreign exchange service to its Chamber members. RationalFX, with an office in Wolverhampton and headquartered in Canary Wharf, will provide the unique foreign exchange service for members saving time, hassle and money. Chamber Director of Commercial Development, David Hadley said, “We are very pleased to have secured the services of Rational FX for our members – especially given the current climate and unpredictability of the currency markets. Jaspaul is an excellent strategist and will be invaluable to our members, helping them protect margins by developing plans to manage their currency exposure and rates effectively. Jaspaul Bains, Foreign Exchange Strategist for RationalFX, said, “This is an exciting partnership for RationalFX, allowing us to continue supporting businesses at the heart of the UK with a unique service and international payments proposition”. Currency fluctuations can have a negative effect on companies when trading overseas. This competitive foreign exchange service is exclusive to Black Country Chamber members who are always looking to protect their business against adverse rate fluctuations. Brexit continues to generate a number of issues for the UK to contend with, not least around the future of direct access to the EU. With this has brought huge amounts of uncertainty and currency fluctuations. As strategic partners with a dedicated service Rational FX are able to spend valuable time with Chamber members to understand their industry, provide insights from across their markets and guide them through the complexities of international payments and FX trading.